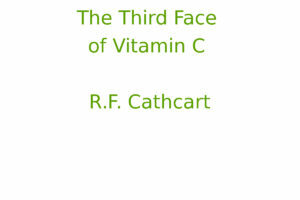 The study author: Robert F. Cathcart. 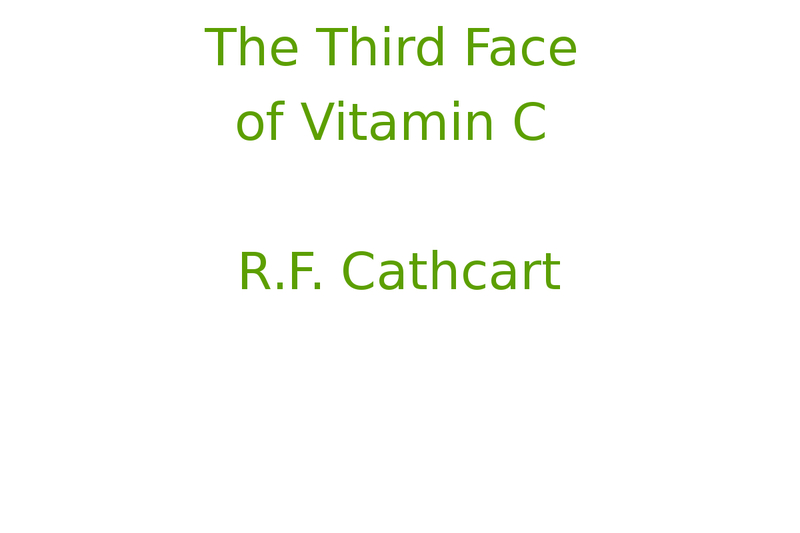 The results of research on "The Third Face of Vitamin C" conducted by Robert F. Cathcart (Journal of Orthomolecular Medicine Vol. 7, No. 4, 1992). Bowel tolerance, the amount of ascorbic acid tolerated orally without producing diarrhea, increases with the toxicity of diseases. Bowel tolerance to ascorbic acid with a disease such as mononucleosis may reach 200 or more grams per 24 hours. A marked clinical amelioration or cure is achieved in many disease processes when threshold doses near bowel tolerance are given. In a very important sense, it is the reducing equivalents carried by free radical scavengers that quench free radicals, not the free radical scavengers themselves. Ascorbic acid can be dramatically useful in quenching free radicals because it is usually tolerated in amounts necessary to provide the reducing equivalents necessary to quench almost all the free radicals generated by severe disease processes. Vitamin C functions are incidental at these dose levels; the benefit is from the reducing equivalents carried. To the extent that free radicals are either essential to the perpetuation of a disease or just part of the cause of symptoms, the disease will be cured or just ameliorated. These effects are even more dramatic with intravenous sodium ascorbate.